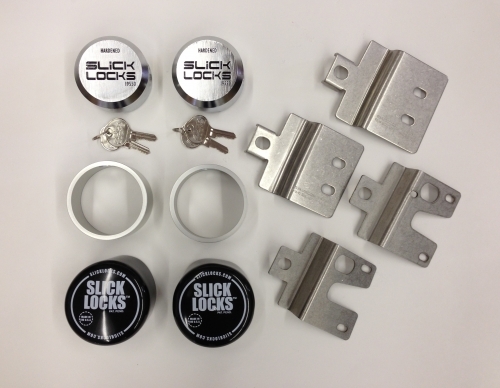 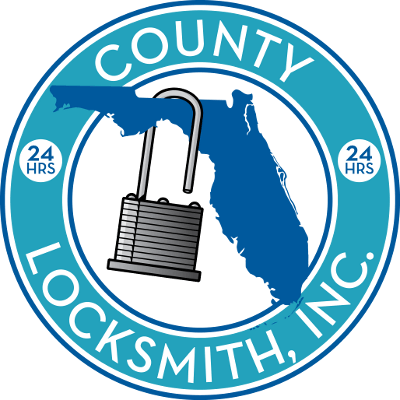 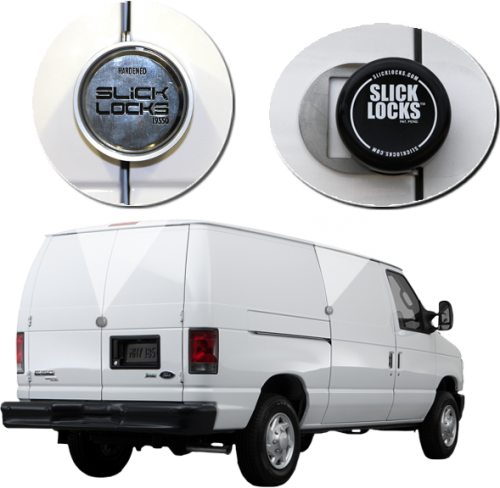 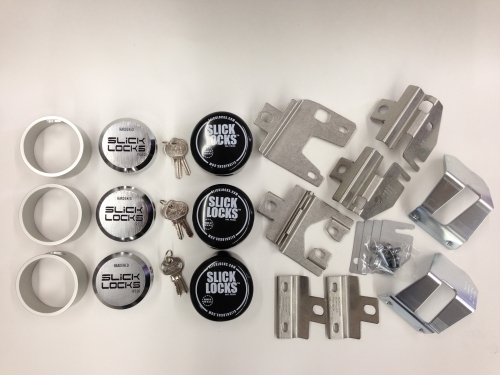 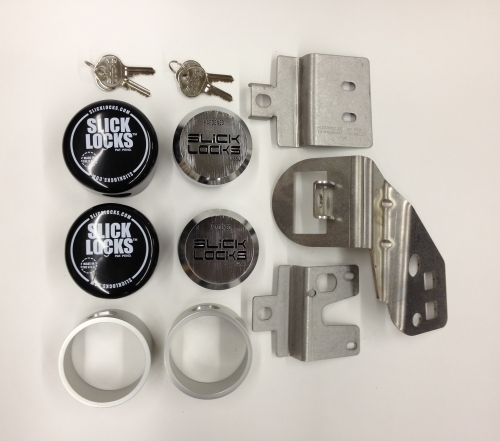 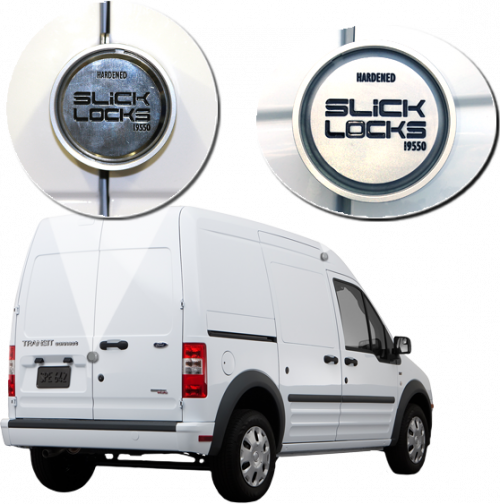 Slick locks service vehicle ultimate tool protection from theft. 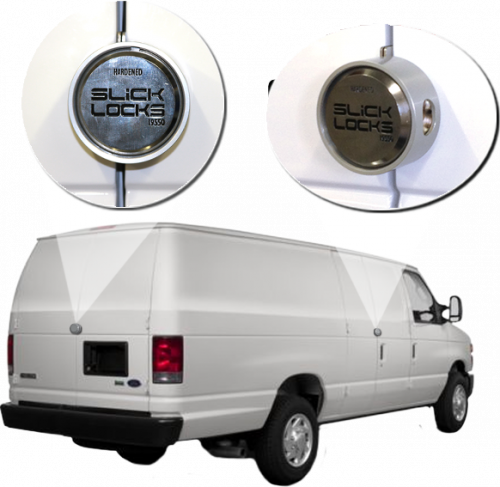 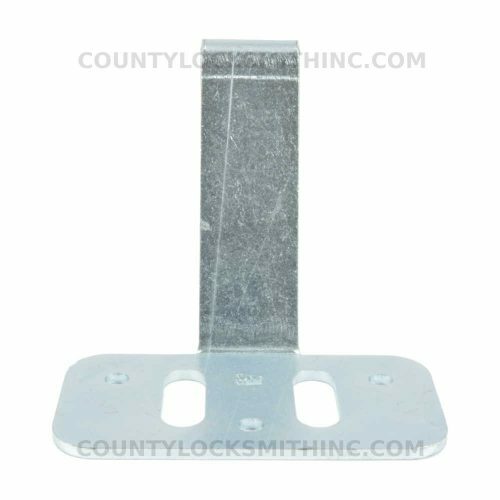 Affordable, easy installation with minimum tools, no drilling and maximum protection. 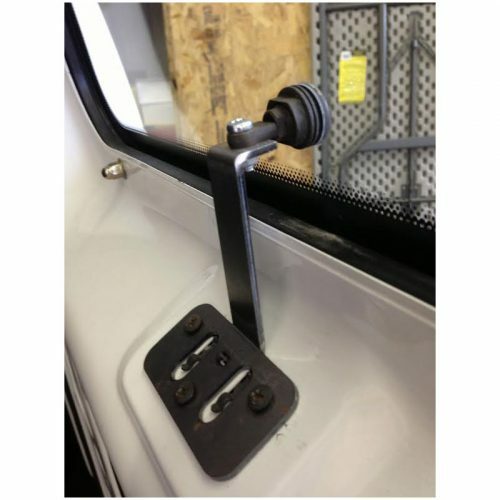 This is a complete kit with everything needed to install in 1992 to present Ford E series Econoline 150,250,350 vans with sliding doors.